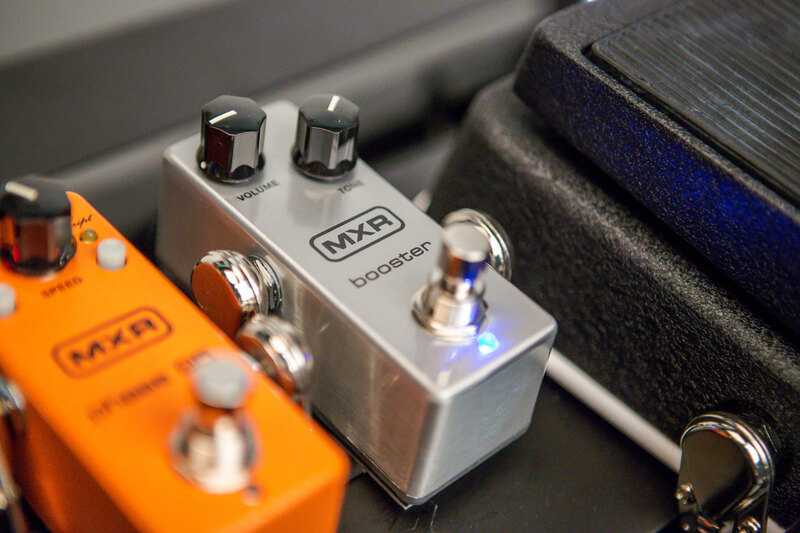 This pedal is modeled on the circuitry of the classic compressor pedal as first released by MXR—it’s the standard by which all other compressors are judged. 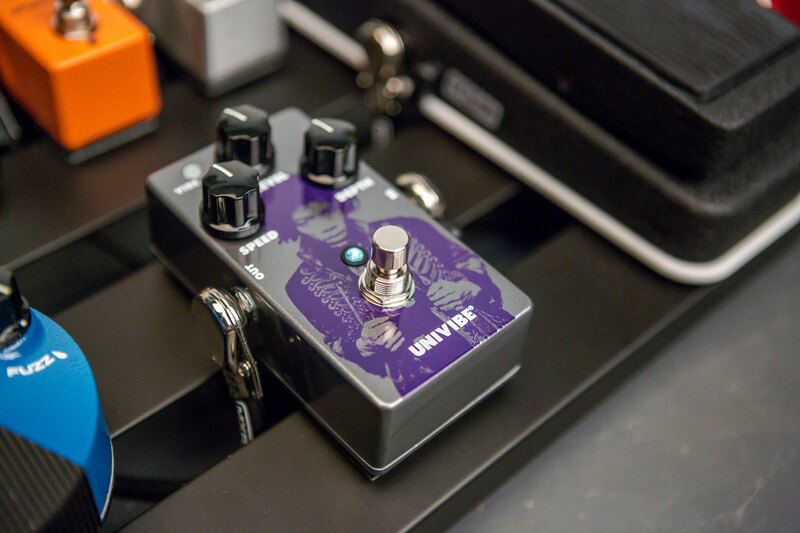 The go-to stomp for country pickers, ’80s pop rockers, and new wavers, it now features modern conveniences such as a status LED and AC power-supply input. Featuring super simple two-knob operation, the M102 is perfect for adding a percussive snap to your sound along with increased sustain. 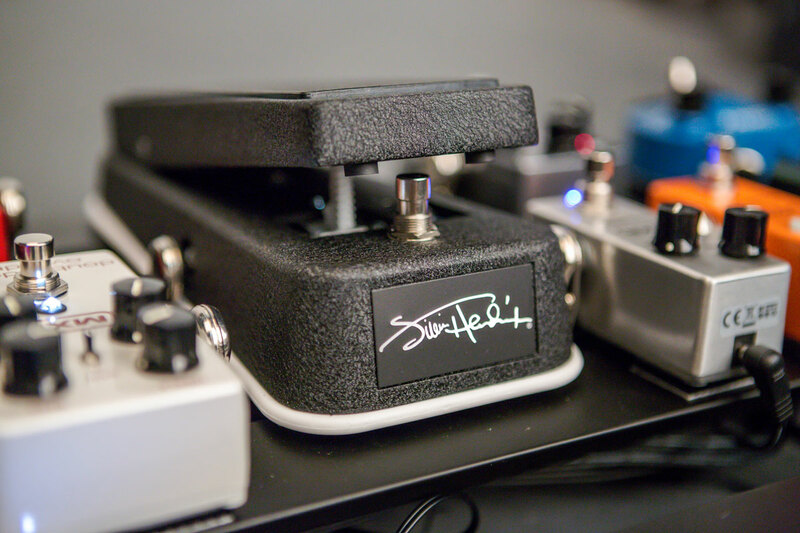 Compared to the Script Logo version, this pedal has a faster, more aggressive response to your attack. Now updated with true-bypass switching. 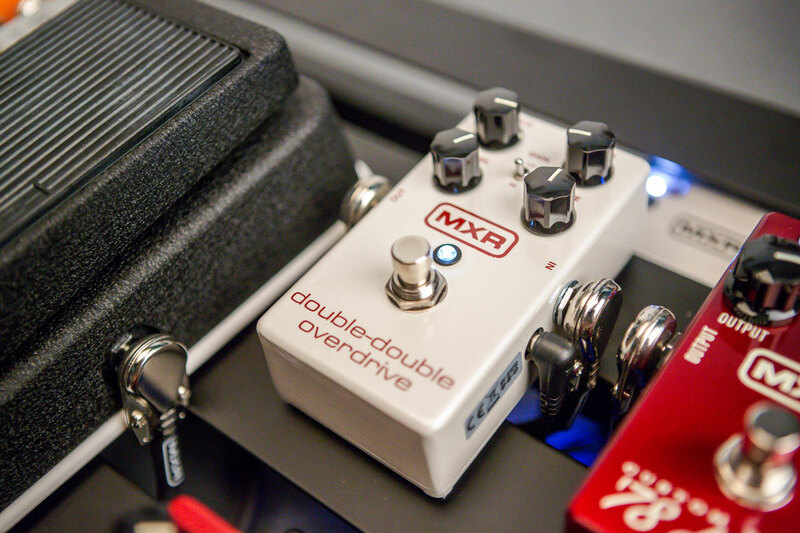 This pedal puts the classic Dyna Comp Compressor sound in a much more pedalboard-friendly MXR mini housing. It provides all the blooming, rich sustain and the tight, even dynamics that you expect, with the added benefit of the Attack switch, which allows you to go from the classic slower attack or a faster, tighter response, without taking up valuable real estate on your ’board. 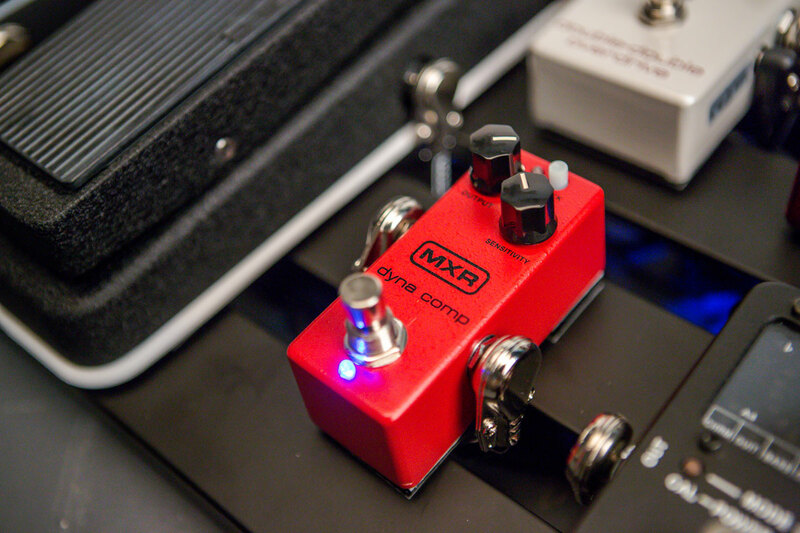 A powerful pedal that takes the legendary Dyna Comp Compressor sound and adds flexibility via the Attack Level knob. This gives players control over how the initial crack of the note is treated by the compressed signal, making it a great choice for metal guitarists, active pickup users, or anyone wanting tons of sustain without sacrificing their aggressive picking technique. 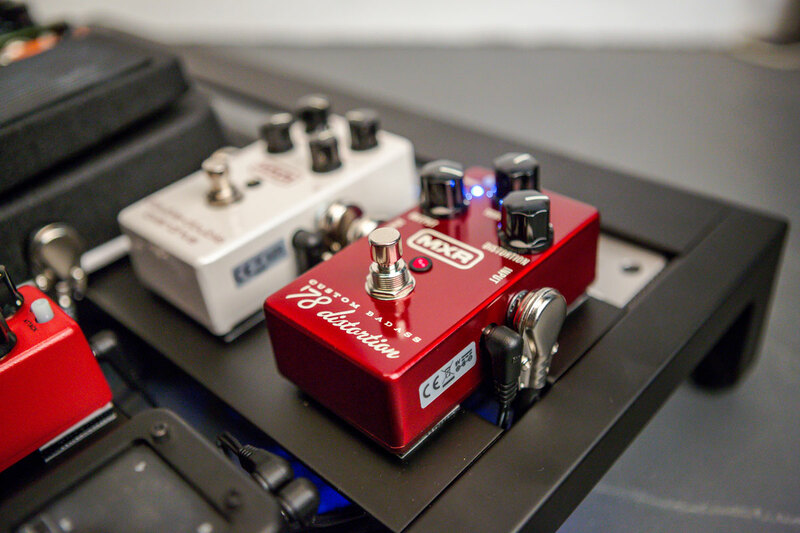 For those who want total control over their compressed signal, these two pedals pack all the power of much more expensive studio compression units into standard stompbox housings. 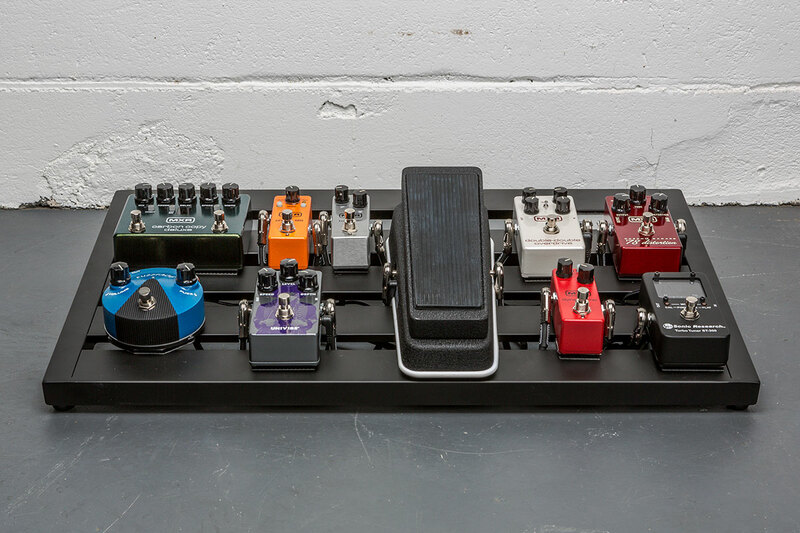 They’ll let you dial in the classic Dyna Comp Compressor squash, but these pedals are built for the utilitarian intricacies of the stage and the studio. 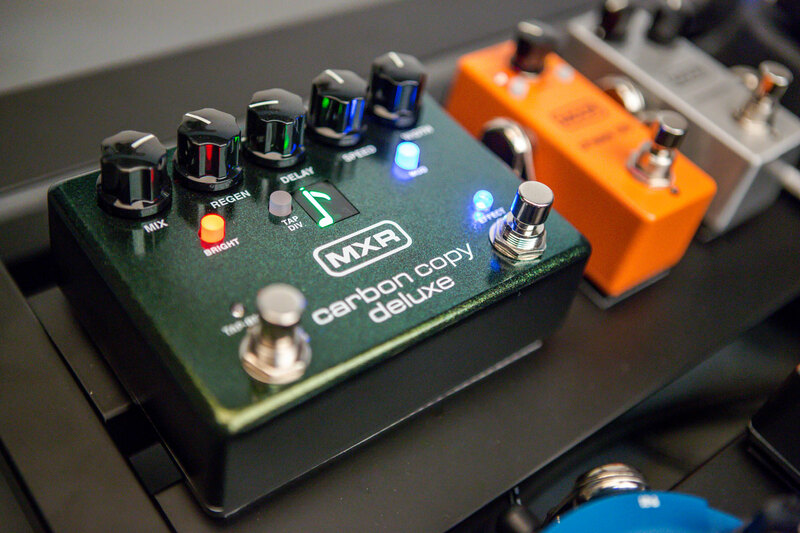 With knobs for Attack, Release, Ratio, Input, and Output, plus a bright LED meter to monitor gain reduction, these are some of the most full-featured compressor pedals ever made. 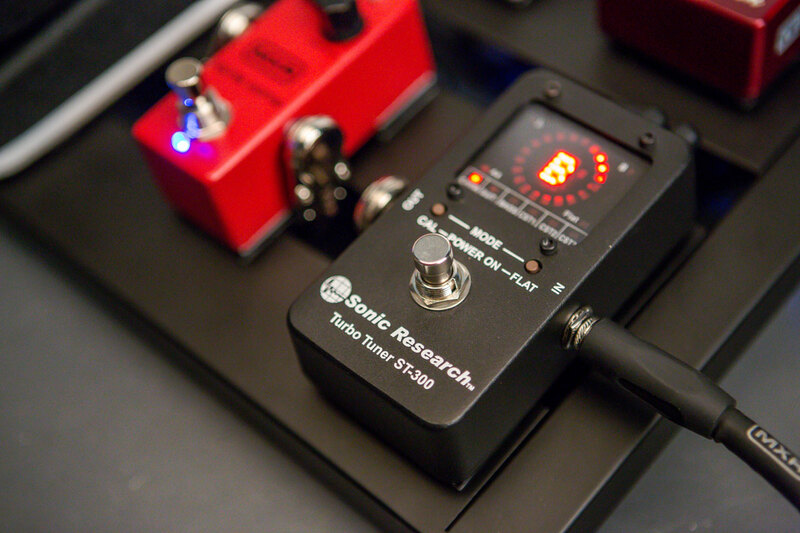 With proprietary Constant Headroom Technology™ and true-bypass switching, these are state-of-the-art tone shaping tools. The culmination of 46 years of Dyna Comp Compressor design and innovation, the Dyna Comp Deluxe Compressor provides unprecedented compression options for any signal. 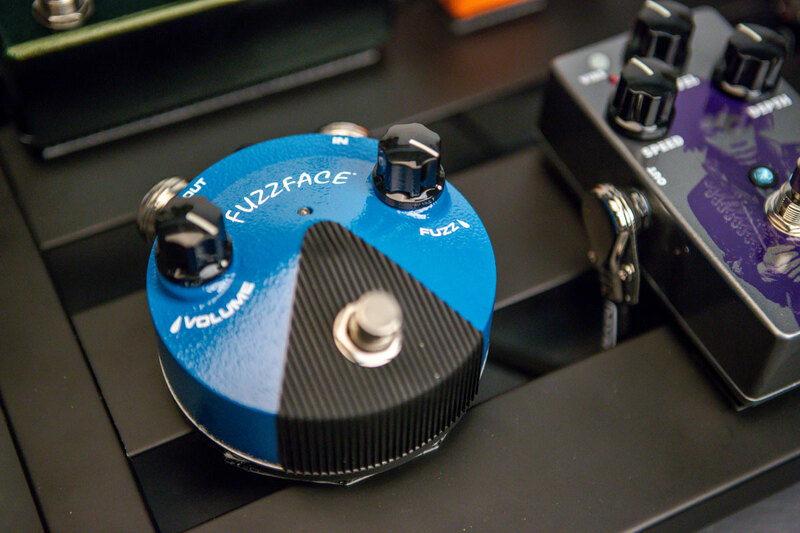 The time-honored Output and Sensitivity controls are there, but along with them is a Clean knob, which allows players to blend in the uneffected signal, restoring bite and immediacy at whatever level works best. 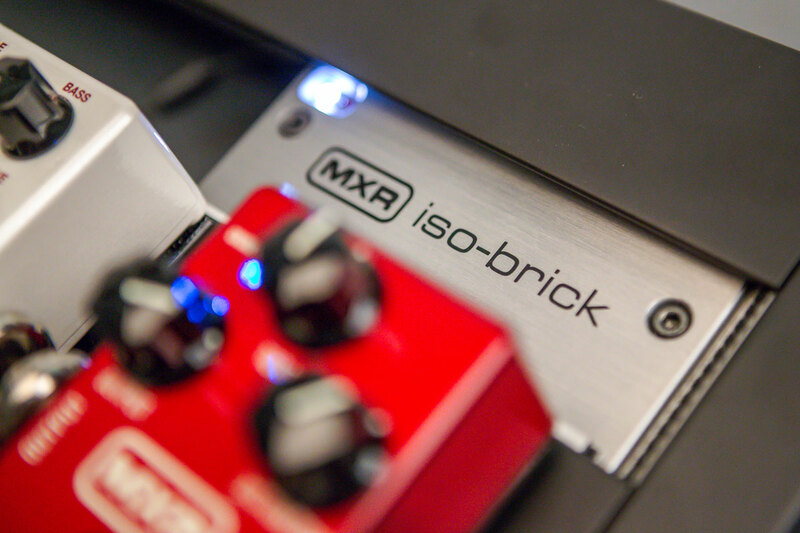 The Tone control provides even more options for treating the compressed sound, making it easy to find the perfect place in the mix. The Attack buttons gives the user a choice between a slow onset of compression or a faster response. 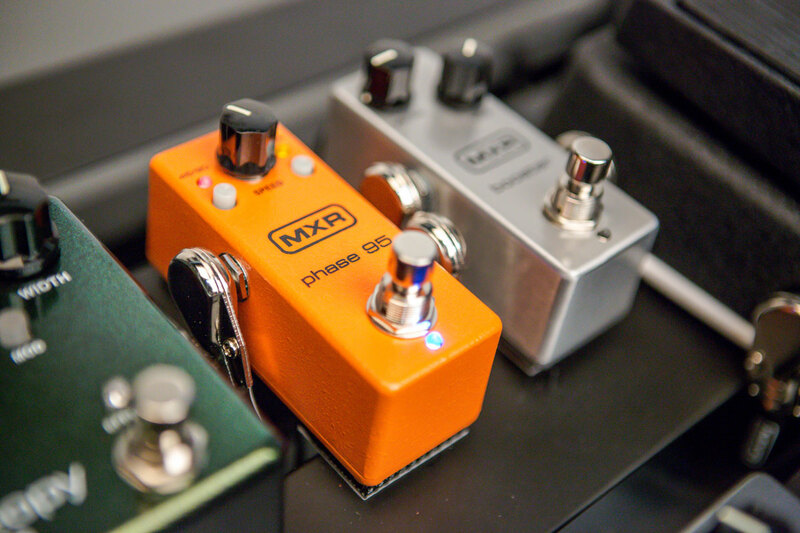 Any flavor, from old-school squash to open-sounding modern bloom is right at your fingertips—and under your foot—in the same sized enclosure as the original. We recently changed up the packaging for Dunlop Strings, so we thought we’d take a few minutes to show what that means for you as a Dunlop Strings user. And yeah, we’re just talking about packaging in this article, but we think that even the little things matter. We’ll use a pack of Performance+ Strings to show what you can expect when you buy your next set of Dunlop Strings. First, the box. Its thinner profile means less cardboard, and we think that’s a plus for the environment. Next, we’ve changed up the labeling a bit to make it easier to identify your favorite set of strings. In the upper left-hand corner, you’ll find the alloy the strings are made from and the instrument they’re intended for. You can see in our example that Performance+ Strings are made from nickel wound steel for electric guitar. In the upper right-hand corner, you’ll see the gauge range, which is color-coded so that you can spot your favorite set at a glance. Here, you can see that our pack of Performance + Strings ranges from 10–46, a range that is indicated by the color red. If you want to check the individual gauges within the range, just flip the box over and check the upper left-hand corner. Finally, there’s a perforated strip that allows you to easily tear the pack open and get to stringing up your instrument with a new set of strings. On the inside, you’ll see that we’ve done away with envelopes—another plus for the environment. Dunlop Strings now come in a VCI-impregnated bag to preserve their freshness. Printed on the bag is our new String Legend, which shows you how to identify each gauge by the color of its ball end. 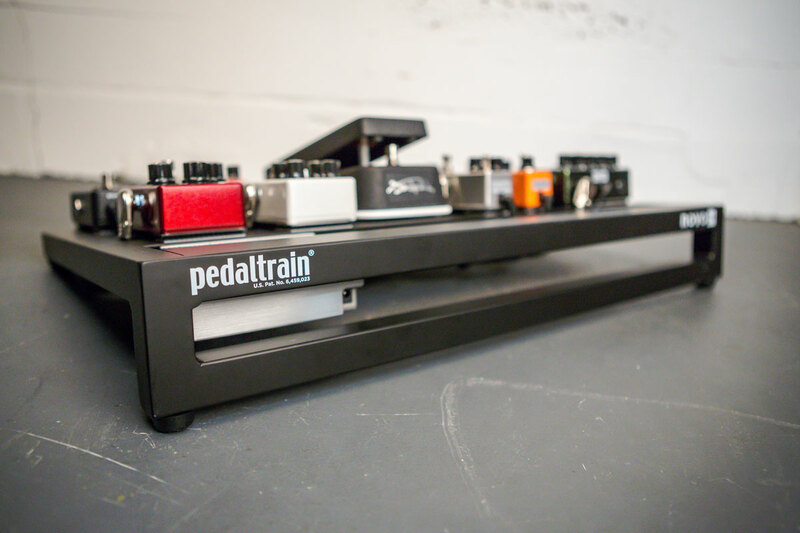 We use a light-to-heavy Gold/Black/Silver system, so a six-string set will have Gold/Black/Silver/Gold/Black/Silver. A 4-string bass set will have Gold/Black/Silver/Gold, and so on. We make Dunlop Strings at our String Lab in Benicia, California in limited batches, allowing us to stay focused on quality control. The Lab has expertly developed string recipes that fully demonstrate our vision of what a string should be. Our small team of guitar and bass players work with the finest musicians around the world to help us refine our work so that you can always expect a great set of strings, no matter what you play or how you play it. String up and focus on the performance. This is the Goldilocks pick shape. There’s something about the moderately rounded shoulders that feels just right, and the shape of the tip strikes the perfect balance between fullness and articulation. The Wedge shape takes the basic profile of the standard pick and widens the shoulders for extra gripping area and slightly sharpens the tip for increased precision. This shape features much wider shoulders for even more surface to grab onto. It’s popular among bass players because of the extra control it provides against the much thicker strings of their instruments. This shape feels familiar in the hand thanks to its Standard shoulder profile, but the tip is a whole ’nother story. Fang-like in its pointiness, the Sharp provides extreme precision and articulation. This shape offers the same control as the Jazz III, but it has a broader tip for players who want warmer, beefier notes. The Jazz III is tailor-made for technique. Its small profile allows you to grip closer to the tip for greater control and speed, and its sharp tip provides tonal definition and a quick release that also increases playing speed. This is a larger version of the Jazz III shape. It provides more surface area to grab onto for the players who want it, but it’s still smaller than the Standard shape, so you can choke up for extra control as needed. The TIII provides players with the familiar size and shoulder profile of the Standard shape, but its tip is modeled after that of the Jazz III for its famous speed, precision, and articulation. The Small Teardrop is a classic pick shape with a lot of history. Its virtually shoulder-less profile makes it super easy to choke up as close as possible to its moderately sharp tip. This shape takes the basic profile of the Small Teardrop and expands its surface for a larger, more rounded gripping area and tip. This shape is for the experimental and adventurous players out there. Its multiple playing edges allow you to get a variety of different tones and textures from the bright, snappy sound of Tortex. A player himself, Jim understood that even the smallest adjustments can lead to great improvements. With that in mind, he took the final step of coloring each Nylon Pick gauge a different shade of grey to make it easier for players to tell their preferred pick apart from the others. Guitar players the world over welcomed the mindful and deliberate attention to detail that Jim brought to picks, which had up to that point been treated as a throwaway item by the companies that made them. Jim built on these innovations when he created Tortex Picks. In addition to the expanding gauge range and exacting precision, Jim developed a painstaking process—carefully followed to this day—that gave Tortex Picks a feel and tone never experienced before. And as with Nylon Picks, even the appearance of Tortex Picks was carefully considered. Jim needed a way to visually distinguish his new line of picks in a way that spoke to the modern and innovative nature of his creation. A way to make Tortex Picks memorable and recognizable to players and attract their interest in a snappier attack and a grip-enhancing surface. The answer was to take the color-coded gauge concept to the next level with a more striking scheme. Whereas Nylon Picks come in different shades of the same color, Tortex Picks span a bright and timeless rainbow palette that captures the fun and enjoyment that Jim felt should be a part of any playing experience. This palette has become not only an industry standard but also a visual symbol, a mark of identification. A Tortex Pick is like a badge of pride that you carry around with you everywhere you go. When the time came to design a logo for his new pick brand, Jim wanted it to match the fun vibe of the color palette and call back to his original intention to create a worthy replacement for the outlawed tortoiseshell material. Jim reached out to local Bay Area artists for some sample imagery, and the design he chose has become instantly recognizable the world over. 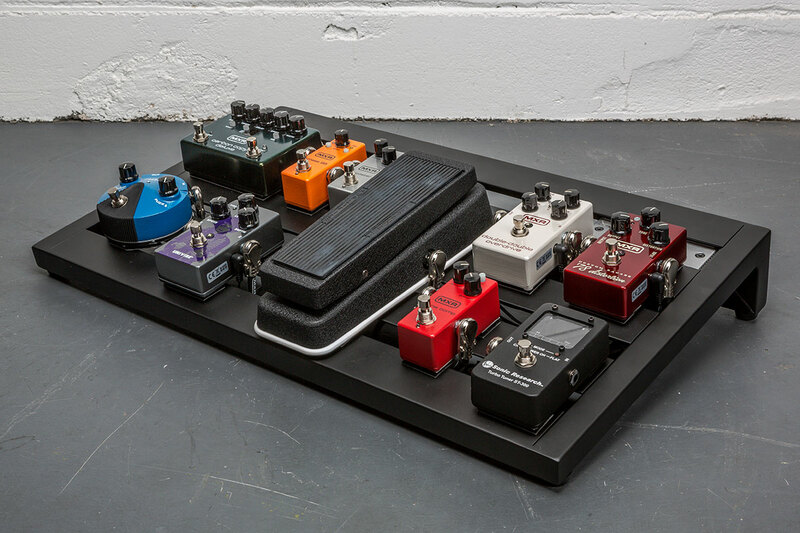 Making good on his promise to provide players with reliable high-performance guitar gear that provided stability while expanding players’ options, Jim left no stone unturned. For him, even the appearance of a pick could serve a purpose to the player and enhance their playing experience.